Pairing Colordyne’s 1600 Series C with Arrow Systems’ Eco-300 for a total in-house label solution. BROOKFIELD, Wisc. 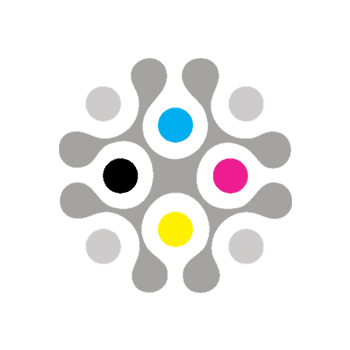 (Feb. 26, 2018) – Colordyne Technologies, a leading manufacturer of full color digital inkjet label and tag printers, and Arrow Systems, a distributor of advanced digital printing and finishing equipment, are partnering for O’CannaBiz Conference and Expo 2019. Together, they will demonstrate to attendees how to affordably print and finish labels in-house. Colordyne will showcase its 1600 Series C digital benchtop printer that produces custom full color labels and tags on-demand. This printer allows brand owners and private label manufactures to print the exact quantity of high-quality labels that are needed, when they are needed. Paired with Colordyne’s digital label printer will be Arrow Systems’ roll-to-roll label cutter, the Arrow Eco-300. This compact finishing system seamlessly die cuts labels and removes matrix waste. When used together, these products allow users of all skill levels to affordably produce custom labels in-house, enhance marketing efforts and streamline production. O’CannaBiz Conference and Expo will take place April 25 through 27, 2019 at the International Centre in Toronto, Canada. Colordyne and Arrow Systems will be located in Hall 5 at Booth 240. Demonstrations of the 1600 Series C benchtop printer and Arrow Eco-300 roll-to-roll label cutter will run throughout the event. To schedule an on-site demo, email [email protected].